Deming was all about reduction in variation. He understood that management’s role was to reduce variation in organizational processes in order to ensure a consistent outcome. In business, consistent outcomes are the difference between staying in business and going out of business. For those of you who have a little quality training, this will make sense. For those of you that don’t, get a little bit of quality training, and I promise you that you’ll see safety from a completely different perspective. Much as our counterparts in quality struggle for organizational resources, we face the same challenges. While quality can be considered reduction in variation, the link to safety is obvious. To put it in those terms, safety should be a reduction as well. This brings us back to the age old discussion of what to measure. The government requires us to log OSHA exposure hours, incidents, and dispositions, which gives us a good starting point for safety key performance indicators (KPIs). That keeps it sweet, short and to the point. However, does the lack of a recordable incident, restricted disposition, or total recordable rate (TRIR) indicate anything other than our organization has been lucky? Or comparatively so against the backdrop of industry benchmarks and other organizations operating with the same SIC or NAICS code? How does “better than average” serve as a justification to the people that are still getting hurt on the job? “Quality is not the absence of defects as defined by management, but the presence of value as defined by customers.” - Milliken & Co. When we think about safety within an organization and safety culture, it’s sometimes helpful to ask, “who are our customers?” In a world that’s filled with process maps, policies, and procedures that establish reporting relationships, functional relationships, it’s easy to lose our way and forget that our customers are the people that work all around us. Your superior is a customer, just like the people who perform line functions and do everything in between. Safety’s primary customers are the organizational members at the “sharp end.” It is at this point where safety professionals can provide the most assistance (and do the most damage). Rarely are we going to be having conversations about providing value with these co-workers, but what appearance does value take? When “selling” safety programs to management, too often do we leave the impression that safety is a cost center for the organization. We continue to see safety programs that get implemented as a response to a particular incident. This is a reactive / defensive strategy and while it may placate investigators and regulators briefly, it doesn’t benefit the people it’s meant to protect. 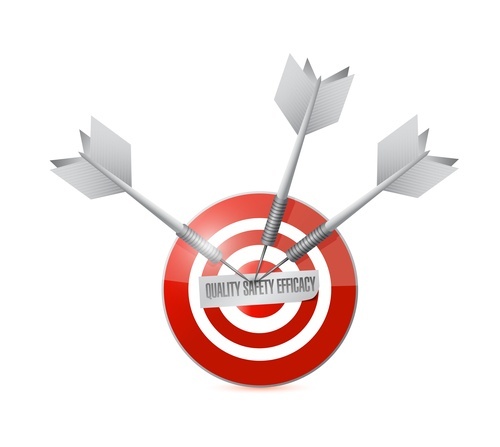 Since quality management focuses on control of quality before errors occur, shouldn’t safety management be focused on the same? The largest share of value for your organization’s safety program, should come from actions that address risks and hazards prior to those risks and hazards becoming incidents. When value is present in an organization’s safety program, it comes in the form of increased employee engagement (or participation, if you prefer). Value is a culture of honest, open communication, when safety issues are discussed, reporting is encouraged, and the entire organization is involved in risk reduction, the identification and application of controls, and understands the importance of safe behaviors and attitudes in the workplace. If you interested in learning more about the link between quality and safety programs schedule a free consultation with our QHSE Consultant.